Posted for: Lisa Kruczek, Summer 2012 Digital Library Intern. As the Summer 2012 Digital Library Intern, I have recently completed scanning a portion of the historic papers of Bishop Francis Patrick Kenrick, former Bishop of Philadelphia (1796-1863). Villanova is putting them online through a collaborative project with the Philadelphia Archdiocesan Historical Research Center, who owns the collection. Although the papers are largely in French and Latin, PAHRC has already created a finding aid for this collection, so the descriptions helped clarify the meaning of the documents. Some fascinating subjects are discussed in the correspondence of this collection, such as the Riots of 1844 and the beginning of the Civil War and how it was impacting the Catholic Church. 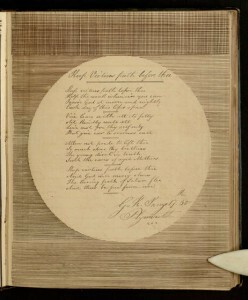 I was also given the opportunity to scan some books and manuscripts, most recently a book of poetry, handwritten by the author. I was able to enter all the metadata for these projects as well, which enabled me to gain more insight into this material. 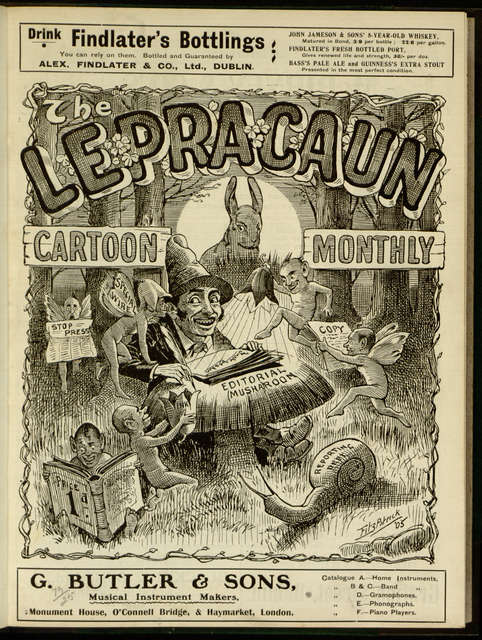 During my time here in the digital library, I have completed transcriptions of 19th century correspondence and created a Wikipedia article on “the Lepracaun Cartoon Monthly” from the Joseph McGarrity collection. I’ve received an education on topics such as Cataloging, Intellectual Property and Social Media, which has been an excellent supplement to my coursework. I’d like to thank Michael Foight and Laura Bang for taking the time to impart some of their vast knowledge so that I too may move on to become a professional and take part in the Digital Library Revolution!